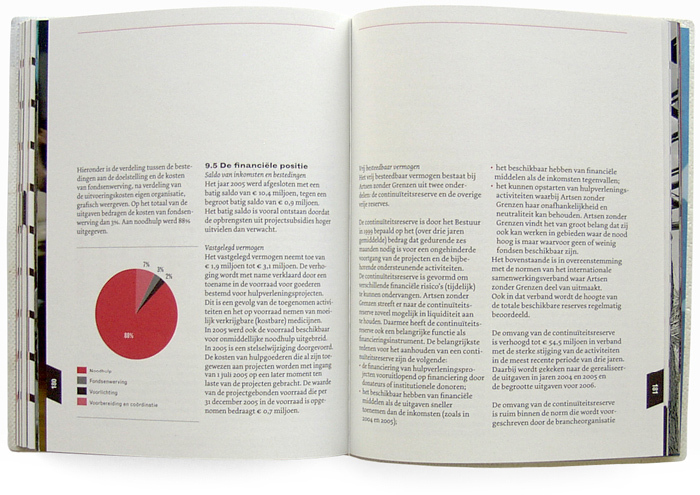 The requirement of more transparency in NGO's policies resulted in a lot of information to be presented in this annual report. 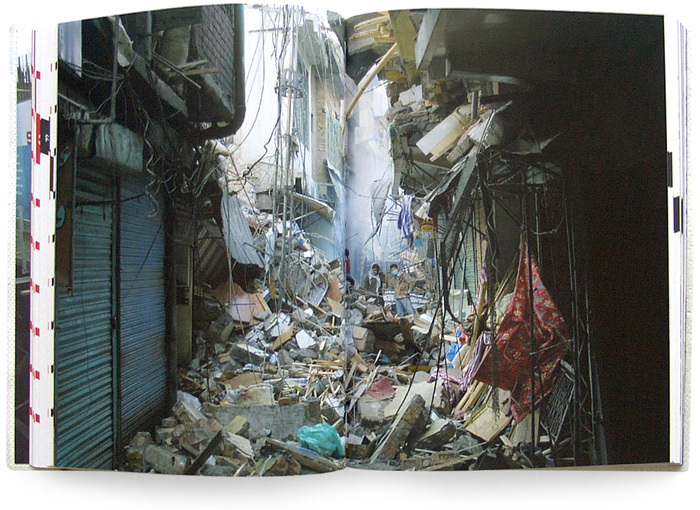 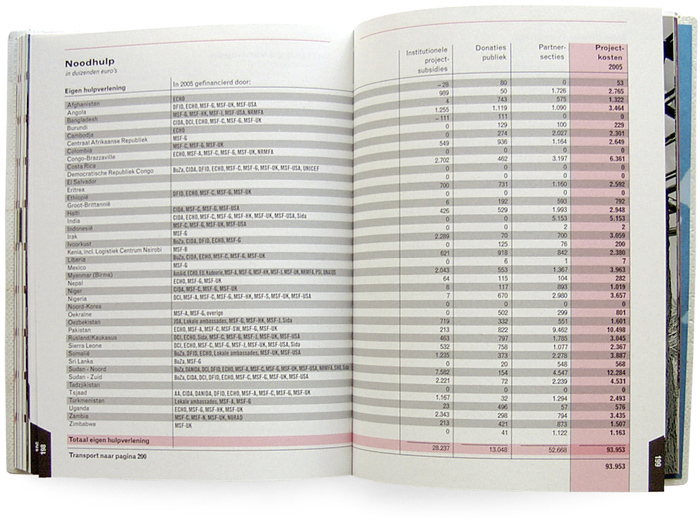 This relatively small-sized book consists of alternating text signatures (printed in black and red ink) and photo signatures (printed in full color), on two different types of paper. 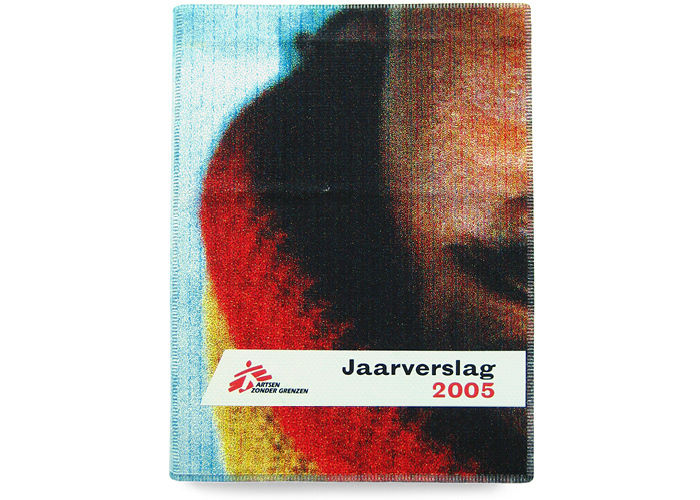 The covers were cut out of a piece of printed vinyl, that had been used for an event for raising AIDS awareness. 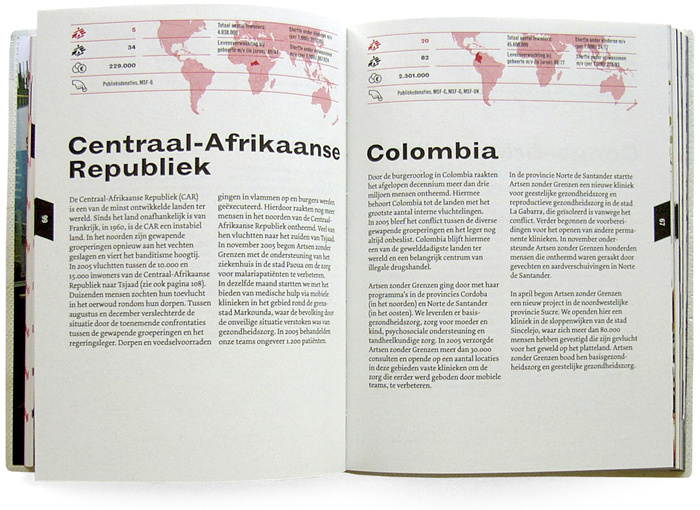 As a result they were all unique. 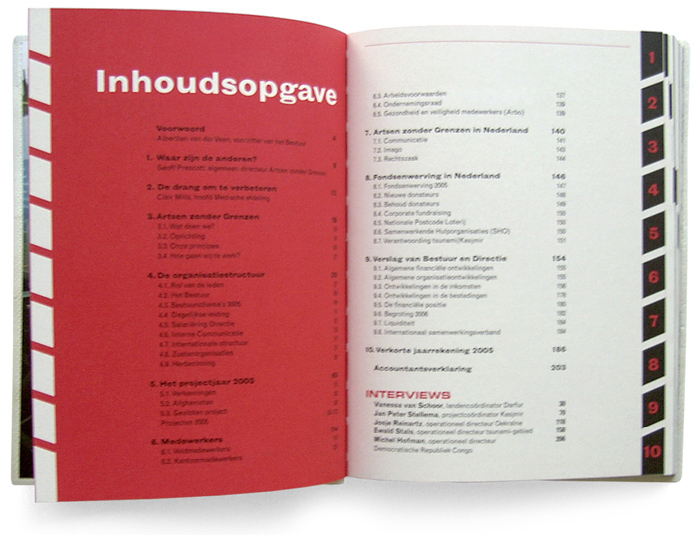 An impression of the event is printed on the end papers. 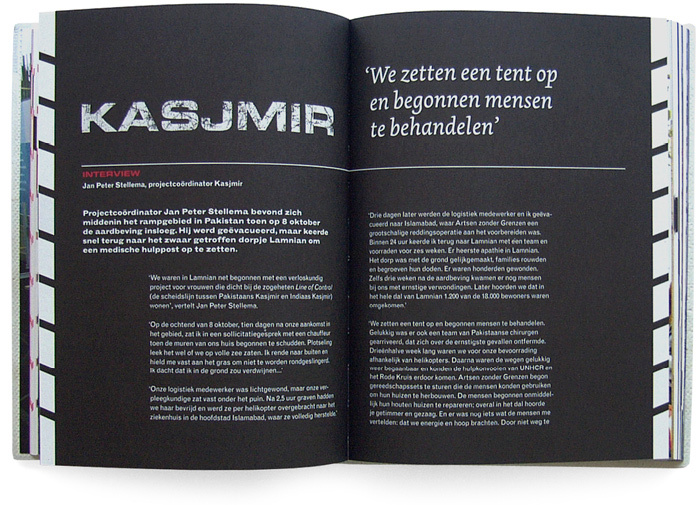 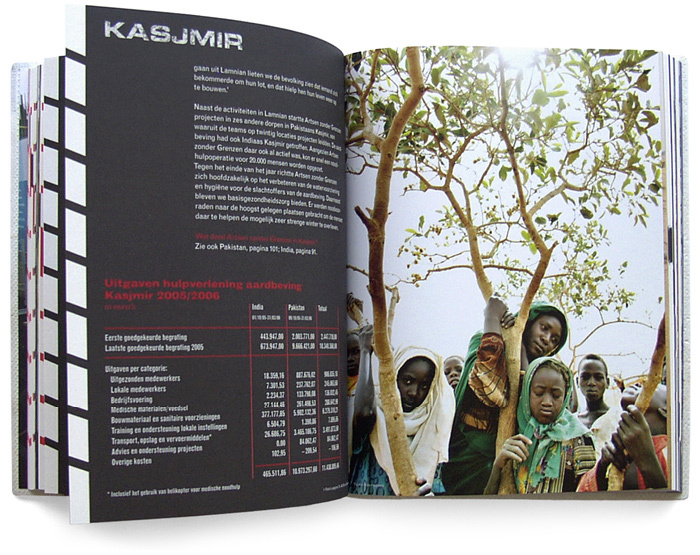 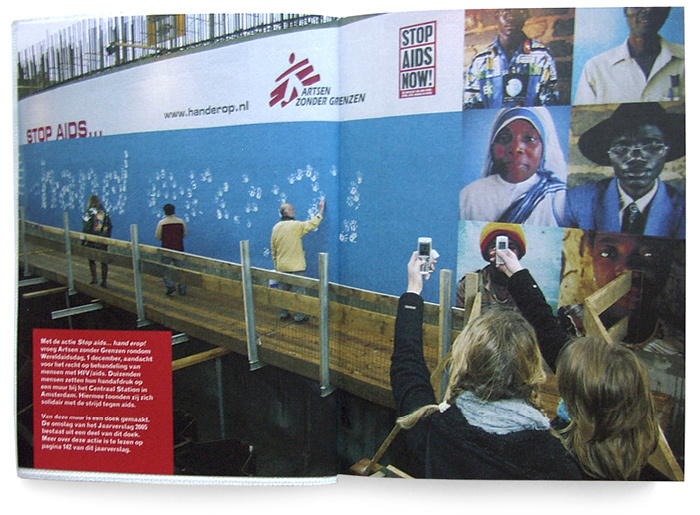 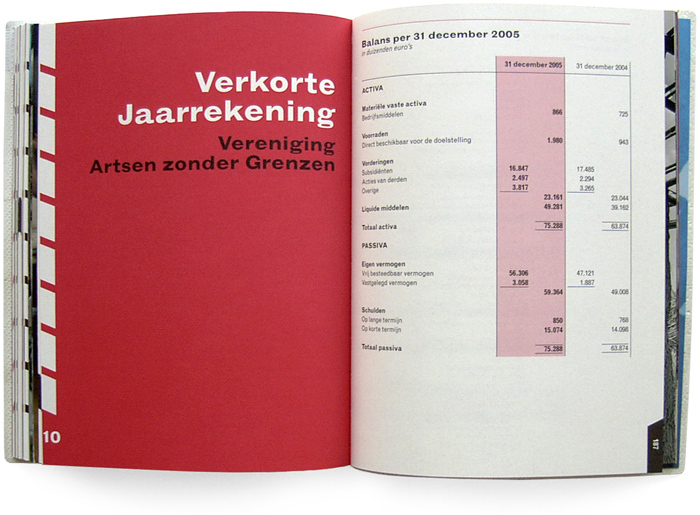 This Annual Report was awarded at the ‘Bestverzorgde Jaarverslagen’, a dutch prize competition for the best-designed annual reports, in 2006.